A Danish startup has arrived onto the vegan scene with hopes of changing the delivery food game. 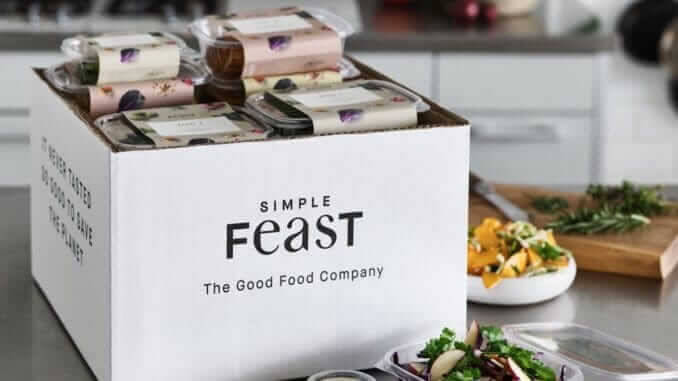 Simple Feast delivers sustainable food in biodegradable boxes, and just announced the investment of $12 million in a funding round led by Balderton Capital in London, with 14W in New York and existing investors Sweet Capital and ByFounders also participating. Simple Feast provide plant-based food and describe it as “Sustainably produced, organic, and delivered straight to the doorstep” which arrives in weekly biodegradable boxes. Each box contains three prepared vegan meals which are made from organic ingredients and can be served in ten minutes.